April 13, 2013 marks the one year anniversary for The G1 Journey. This was the day one year ago the decision was made to build a complete collection of the Generation 1 Transformers toys. Whew! what a Journey it has been so far and continues to be! For the past year I have searched, collected, written, and photographed what it’s like to try and collect these toys in today’s collecting world. There has been some highs, there’s been a lot of lows, and of course there has been some serious rethinking moving forward on this Journey. My very first G1 figure … Safe to say the photography has improved! Simply collecting G1 figures can get me into a collecting high. My appreciation for this hobby has increased 10 fold just by having them in my collection. The G1 figures are special not only because they are the first (unless we count Diaclone) but the amount of historic value in them is through the roof. With each figure comes a story about your childhood, a story about the character himself, and an appreciation for Transformers engineering. Why is there an appreciation for G1 engineering? especially considering how overly simple it can be? Because you can see the evolution in the figures. 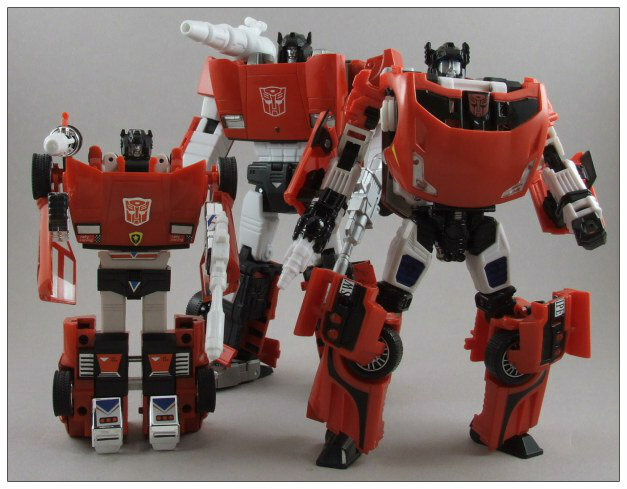 There’s nothing quite like comparing a G1 Sideswipe to its Classics figure and then stacking each of those up to a Sideswipe Masterpiece. G1 engineering is the foundation of it all and my favorite thing about collecting them is seeing them compared against the figures that came after. There’s nothing quite like seeing the Evolution. Let me also not understate just how rewarding it feels to acquire a G1 figure. 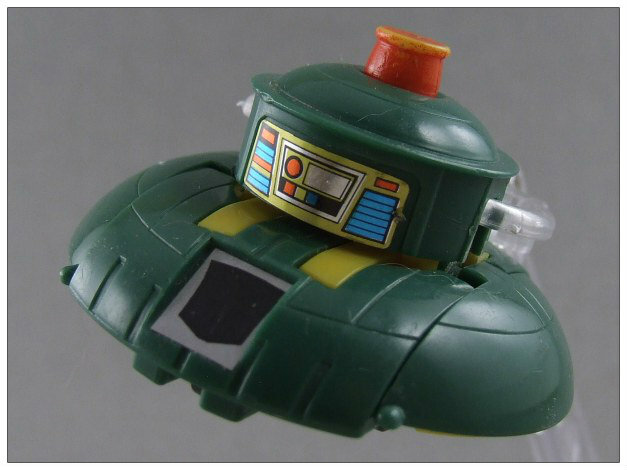 It never gets old to FINALLY get that figure you were watching on eBay, or hunting for at a local Collector’s Marketplace, it’s simply a rewarding high to get your hands on that G1 toy. There’s a big difference between going to Toys ‘R Us and finding the latest figures to hit shelves, or clicking “add to cart” at TFSource – it’s too easy. When you’re finding G1’s, you’re literally hunting for the best overall deal; you need to be aware of price, condition, KO’s, the whole 9 yards! When you finally get that G1 toy in hand though, you instantly feel rewarded and gratified for your efforts. 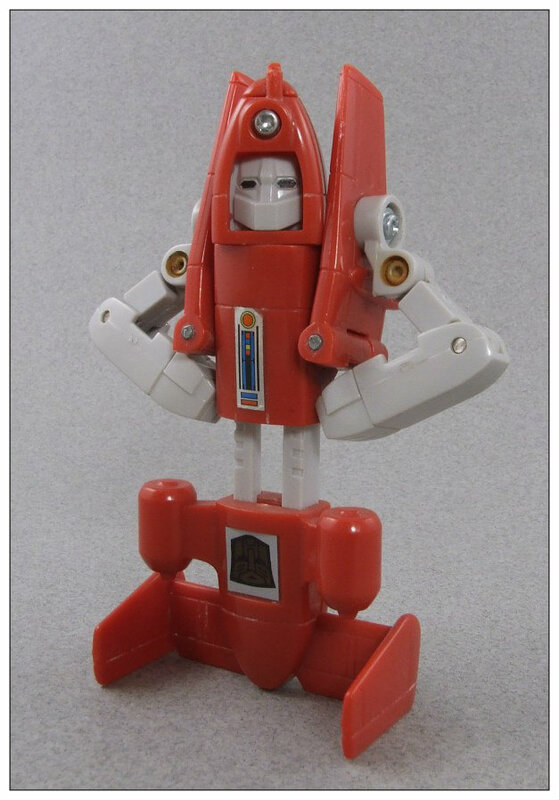 Both Cosmos and Powerglide were purchased from a local Collector’s Marketplace after some dealing! Unfortunately, you can’t remain at an all time high forever. Collecting in general will bring a lot of low points – bottom line is sometimes you just get burnt out in general. Although finding G1’s is a high, sometimes the hunt can be downright discouraging and frustrating. One of my lowest points during this Journey was trying to win several auctions for a G1 Shockwave. I lost every single one of them. Shockwave is what I consider a rare figure; he’s not in low supply, but the good conditioned ones with a decent price tag are RARE. I remember each auction I bid on just soaring past my spending limit … and sometimes I found what I thought was an excellent deal, only to find upon closer inspection for it to be a KO listing. You can’t win them all! Speaking of KO’s, let’s all let out a collective scream of frustration when we encounter them. As an authentic collector, I really hate competing with KO’s, but it is part of this hobby and you have to be smart, aware, and knowledgeable of your figures. I wasn’t up to the challenge when my G1 Starscream ended up being an early Diaclone knock off. 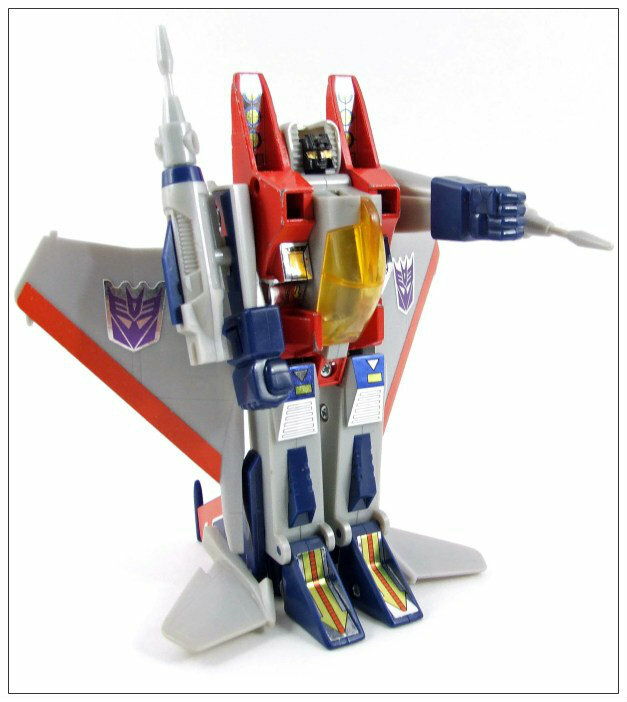 I certainly blame no one else but me, I did not do my homework when I was in the market to buy a Starscream. Knock offs are never going to disappear, so I highly suggest anyone who is just starting out collecting G1 toys to be a fast learner and do your research! 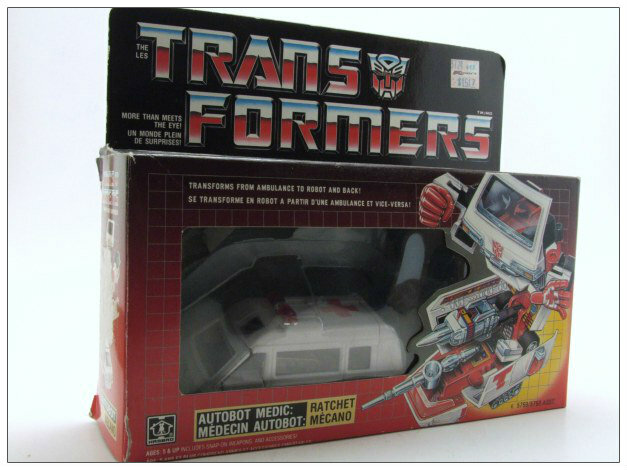 Even as a KO, this Diaclone knock off is remarkably rare. I’ve learned a lot from collecting Generation 1 figures for the past 365 days. Bottom line – collecting these toys are incredibly hard, but probably the most rewarding part of my collection. It doesn’t matter how many live action movies are released to drive up the price of G1, or how many 3rd party products are released to cut into my budget, there’s always room for my G1 collecting to expand and take priority. Moving forward, here’s what The G1 Journey is looking to accomplish this year. 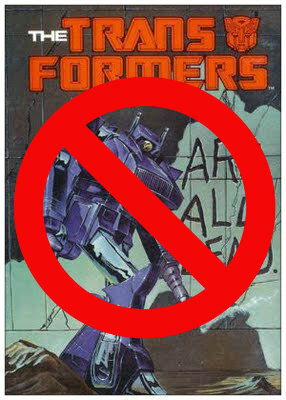 Complete the 1984 and 1985 series of Autobots and Decepticons – Very tough goal, but with BotCon around the corner and new networking avenues opening up for me, I think it’s possible to do within a reasonable budget. Expand my network to other collectors – Everyone should do this: NETWORK. There so many great collectors and fans of Transformers. Being involved with the community makes this hobby even more fun, that’s why I am so proud to be associated with TFSource, Kuma Style Designs, Pax Cybertron, and my local collectors Dr. Prime, Nickbot, Floating Cat, and Aadeon – all good friends who help me enjoy this hobby. Continued improvement on The G1 Journey’s theme – This site is not a review site. By nature alone it can be that, but the Journey is about telling stories, making it easier to find answers and facts, and most importantly for good entertainment. This hobby is about passion and fun, I try to make this site fun for everyone, not just me. 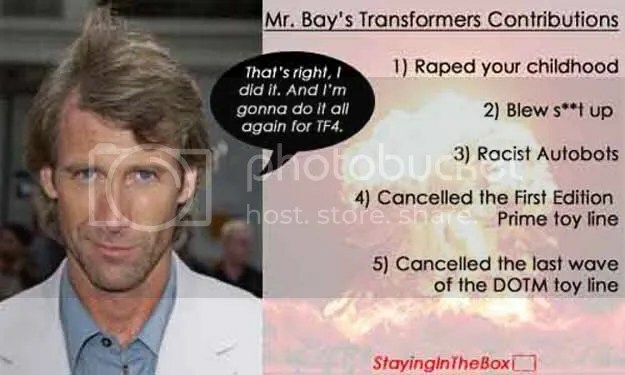 You also need to add cancelled season 4 of Transformers Animated. That is the worst thing he has done. Hi, Been following since the beginning, really enjoying it and can relate as I’m trying to do something similar, except I’m happy with reissues. Good luck, especially with Roadbuster. Thank you for reading David, it really means a lot to have people enjoy and participate in their own journeys! Chin up on the Shockwave. I just found one after two years of searching. And you’re right, G1 collecting is such a high. Fear of K.O.s did the trick. I finally just buckled down and did a “Buy It Now” from a seller that I really trust. Wow, has it been a year already? My gosh time is going fast! You continue to do excellent work and I look forward to following this blog for a long time to come. Yes!!! Can’t wait for the Beast Wars Safari! lol the Beast Wars Safari WILL happen!